Do you want stronger relationships? Are you struggling to give or receive emotional connection from your partner? Hugh Vail is the co-founder of the largest family preparedness website “The American Preppers Network” and is a key member of Operation Underground Railroad directly supporting its founder Tim Ballard. 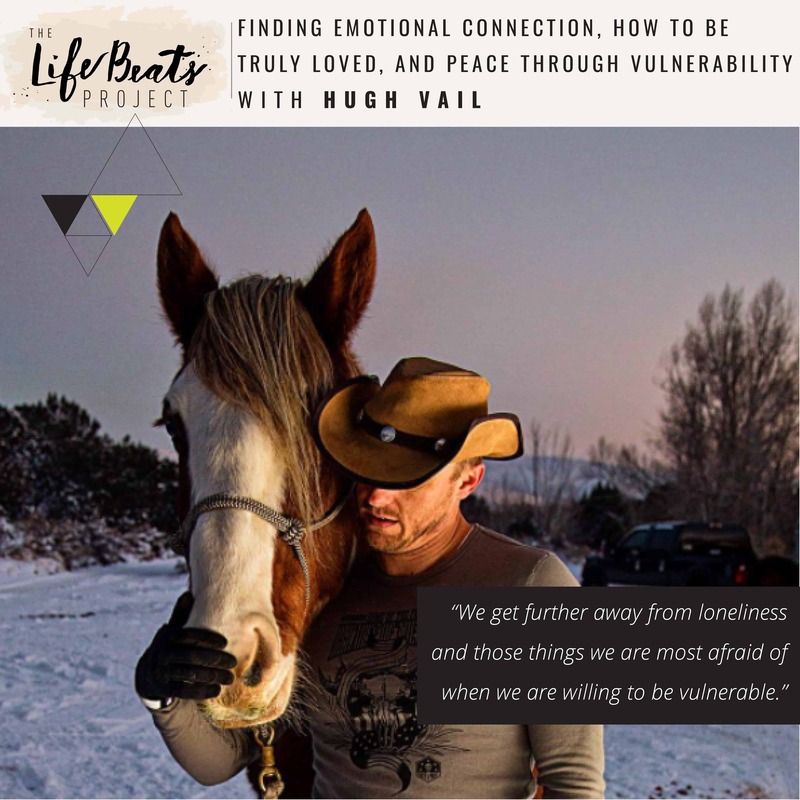 Hugh is one of the few men who have been on the podcast and his insights will have you sharing them with anyone- man or woman- who is looking to improve their relationships and achieve real emotional connection. Hugh shares his story of growing up in a home with an absent father and a mother with an addiction to prescription drugs. He tells of running away from home at 16 and of an unlikely friend who facilitated a pivotal moment in his life. He shares how he tried out a new thing called prayer and how the answer he received brought him back to his family’s home 18 months after he had left only to be greeted by his mom siting the conditions of him being able to stay as living in the 3-walled barn in the back property and paying rent. Hugh shares of putting up his hammock and getting to work to save money to serve a church mission. He then discusses how the dysfunction of his family later impacted his marriage by teaching him to shut down emotion, demonstrating that when self worth is low, ego is high to compensate. Hugh shares how his refusal to be vulnerable for fear of being alone, ended up leading to a divorce that was very lonely. He tells of his commitment and recommitment over and over now to always be vulnerable. He shares his belief that you cannot fully know how much you are loved unless you can be you just as you are, that happiness is when others see how screwed up you are and still love you. He sites honesty in owning up to your screw-ups as a qualification for someone he is looking to be with, saying that if you will own them, you will fix them. He discusses his belief that the peace that Christ offers is actually emotional connection, that no matter the darkness that happens in the world around us nor what we have done, Christ will give us emotional security and an unfailing love. Listen to this tender hearted single dad and be inspired to take a chance on being vulnerable in your relationship to see what that opens up to you. Oh man! The last 10 minutes!!! What an incredible perspective and such applicable useful tools. I know about 10 people I love who will benefit from the opportunity to shift more that way to find peace. Heather I am so happy that those last 10 minutes impacted you so much! I was truly moved by this perspective as well and have thought about it so much since then. Peace is my metric of how I am doing in life. I hope you are able to share this podcast with those 10 people you love!! Thank you so much for listening and commenting!